100 independent retail jewelers join together to bring sparkling change to how the world sees. 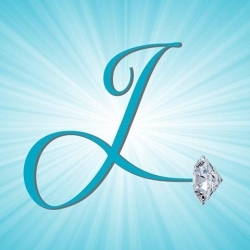 Chicago, IL, September 21, 2018 --(PR.com)-- Jewelers Direct, a cooperative group of 100 US-based retail jewelers, announced today that it has partnered with the Himalayan Cataract Project (HCP) and SEE International to auction off more than $10,000 in jewelry, including Tiffany & Co. estate merchandise as well as unique diamond pieces. 100% of the dollars raised will go directly towards surgical procedures for the blind. The Himalayan Cataract Project (HCP) works to cure needless blindness with the highest quality care at the lowest cost. Since its establishment in 1995, HCP has been committed to overcoming barriers impeding delivery of cataract care to underserved, needlessly blind people in low- and middle-income countries with a focus on providing high-quality care, training local personnel and establishing world-class eye care infrastructure where most needed. As a result of the Himalayan Cataract Projects efforts, over 8,875,905 people have been screened and treated, including surgery for over 740,000 people from 17 countries. Since 1974, SEE International has provided free screenings and services to those who do not have the finances or access to quality eyecare. See International has performed over 500,000 sight-restoring surgeries that have transformed the lives of the patients, their families and communities. The Jewelers Direct Bling For Blindness auction will begin on Friday, September 21, and will continue until the items are all auctioned. Items up for auction will be pinned at the top of the Jewelers Direct Facebook feed and easily identifiable. Auction merchandise will have no minimum bid, and bids will be accepted in $50 increments.